SANTA MONICA, Calif. – March 7, 2018 – TigerConnect, formerly TigerText, provider of healthcare’s most advanced, reliable, and widely adopted clinical communication platform, and QGenda the market leader of automated, cloud-based provider scheduling software, today announced their product integration. 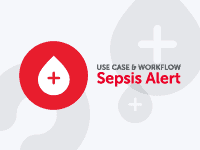 Together, they will provide a solution that ensures care team members have instant access to staff schedules that are embedded in the workflow, ensuring communications are quickly and accurately delivered to the right person at the right time. 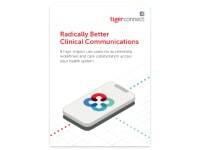 The TigerConnect Clinical Communication Platform leverages its Connection Hub to seamlessly integrate with QGenda On-Call to intelligently route critical communication and data to designated care teams or individuals in real time where it can be read, shared, and acted upon. TigerConnect communications are delivered via text, phone or video call at the point of care via provider smartphones. 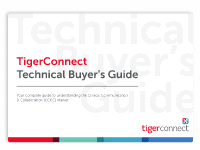 QGenda On-Call provides a key driver for several critical workflow capabilities in TigerConnect that include automated persona management, shift-to-shift activity handoffs, and escalation rules. 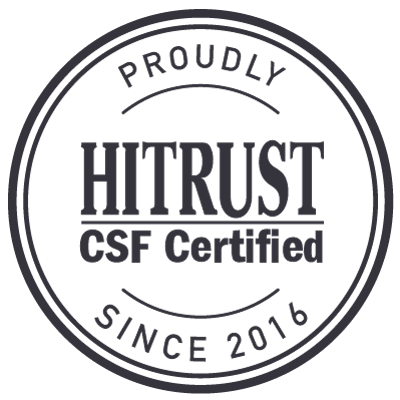 This integration will allow organizations to free their care teams from the toil of whiteboards and printed schedules when tracking down on-call staff and instead allow them to instantly message, call or conduct video chats with the correct physician, nurse or specialist using a simple lookup. Twitter, connect with us on LinkedIn and visit TigerConnect to learn how clients like RWJBarnabas, Geisinger, and Lifepoint are using TigerConnect to solve healthcare’s biggest communication challenges.